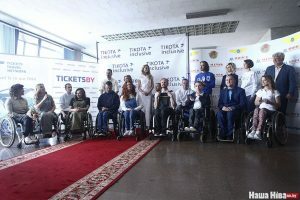 BelarusDigest > Social > Is Belarus Willing to Help People with Disabilities? On 19 August, Aliaksandr Lukashenka visited Orsha District, a new Mecca for Belarusian officials. Over the past six months, almost all the country’s top bureaucrats have visited the town. Orsha is getting a great deal of attention from the authorities due not only to its economic depression, but also its outsized protests against the government’s policies. This March, a thousand people protested against the social parasite tax, an impressive figure given the town’s size. To minimise dissent, the authorities are looking to boost the region’s economy with their signature mix of socialist and capitalist ideas. In practice, however, their efforts amount to patching holes in a sinking ship. 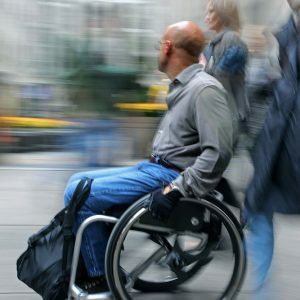 The government’s new policies might help in the short term, but are unlikely to have much effect further down the road. To many Belarusians, Orsha is known as ‘the city with three prisons and no university’. In reality, there are only two prisons now, but the town retains its criminal reputation. Orsha is also famous as a designated transport hub and as the place where the Grand Duchy of Lithuania defeated the Muscovite army in an epic battle near the Dnieper river in 1514. Orsha remains one of the most economically troubled towns in the east of Belarus. 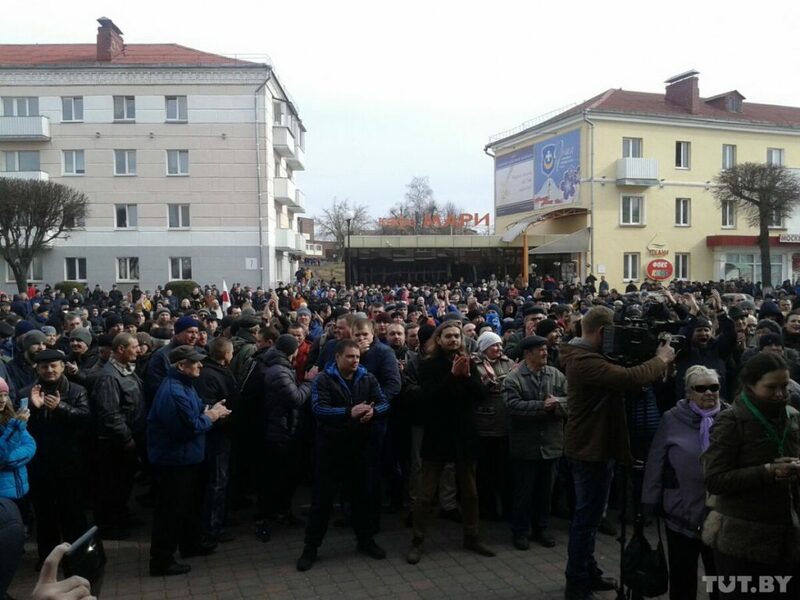 Moreover, residents of Orsha do not seem to fear articulating their problems: this spring, Orsha saw the largest per capita protest in Belarus. A thousand people protested against the social parasite tax in a town of only 115,000 inhabitants. Orsha’s problems are long term. Over the past 20 years, the region has lost 30,000 inhabitants, or more than 15% of the population. Over a quarter of the region’s enterprises remain unprofitable, according to the Belarusian Statistical Committee, and many businesses have overstuffed warehouses. According to local media reports, a salary of just $250 a month in Orsha is considered high, and in some companies people work part-time, earning as little as $70. Nevertheless, people are reluctant to quit their jobs, as the unemployment rate may be as high as 15%, according to unofficial data. The high level of unemployment leads many people leave for Russia or search for temporary work. Every morning, several dozen people gather near the local employment centre, where ’employers’ arrive to order a one-off service, such as unloading goods. In Orsha, these groups of unemployed men even have a nickname: ‘the mafia’. Over the last six months, Orsha Region has become a Mecca for Belarusian officials. It has hosted visits from the Prime Minister, Deputy Prime Minister, head of the Presidential Administration, and the Minister of Economy. 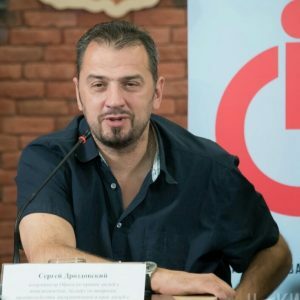 To demonstrate the seriousness of his intentions, Lukashenka has appointed his assistant, Alexander Pazniak, as head of the Orsha District Executive Committee. Despite the impressive number of bureaucrats involved, however, their ideas on how to fix the region remain uninspiring. 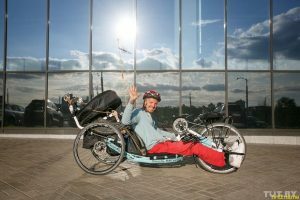 Lukashenka has proposed modernising local enterprises, providing them with financial support, and purchasing new equipment. In July, Prime Minister Andrej Kabiakou stated that the authorities had started the process of cleaning the financial accounts of the Orsha Tool Plant, the most moribund company in the region, and repairing its roof. Later, the enterprise would start buying new equipment. Unfortunately, this modernisation effort is most likely doomed, just like previous efforts to massively modernise wood and cement plants. For example, in 2016, the profitability of the wood-processing industry was as low as 1% and boasted a $2.7bn debt. It remains unclear whether these plants will ever be able to pay off their debts. 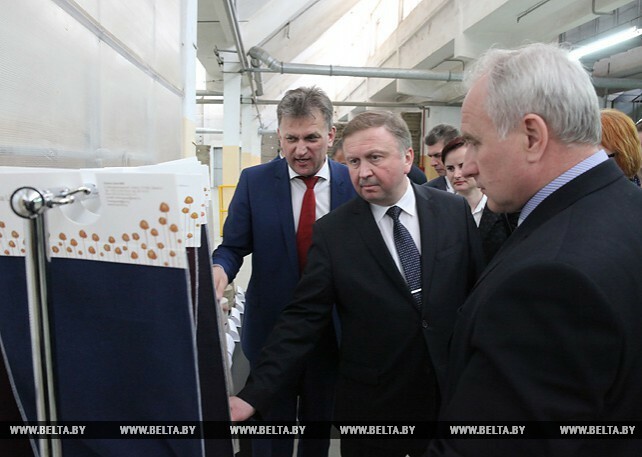 To put it more bluntly, Belarus is just wasting money on the modernisation of Belarusian state-owned enterprises. The government would also like to create the best conditions for doing business. This is undoubtedly a noble pursuit. However, the extent to which this will benefit the region remains dubious, given that the local population lives in poverty, providing businesspeople little incentive to invest there. In addition, the Minister of Economy is proposing to lease unused parts of state enterprises to new businesses. However, these premises are often so old that last year one company discovered nearly 2,000 unexploded ordnances left from World War II. The authorities also intend to develop specialisation plans for the regions. In Orsha, the authorities want to expand business in two areas. Firstly, they aim to increase the importance of Orsha as a logistics hub. Secondly, the authorities are fantasising about IT sector development in the region. They do not seem to heed the fact that there is nothing close to an existing IT sector and the quality of life is far from what Belarusian IT employees have come to expect in Minsk. It is unlikely that the Belarusian authorities can really help Orsha’s economy through this sort of wishful thinking. One can, of course, expect short-term improvements: for example, investments in fixed assets in 2017 rose almost twofold, according to official figures. But the authorities have simply pushed money into a hole in a sinking ship. What’s more, the number of such holes keeps growing. 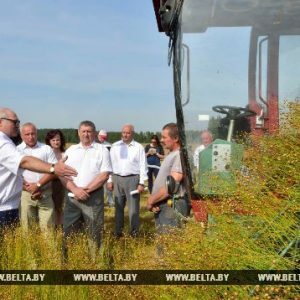 In June, Prime Minister Andrej Kabiakou announced that the Belarusian authorities will help the Barysau, Baranavichy, and Babruisk Regions the same way they are assisting the Orsha Region now: the town is a pilot project for Belarusian regional development. At the end of the day, it remains difficult to understand how this new approach is different from previous policies. It still boils down to investment in state enterprises with some elements of liberalisation caused by lack of money. However, this time around the scale is completely different. If previously the authorities sought to spread out public investments across all regions evenly, now only a few will obtain priority status. A better method could be for the authorities to give more power to local councils and democratise them, thus helping them to create new development strategies and increase the efficacy of budget management. However, this will fail to have much impact until the authorities answer one key question: what is to be done with failing Soviet enterprises which demand more and more money just to stay afloat?